the theater release of Alice in Wonderland! This promises to be no ordinary movie release; this is Tim Burton directing material that seems to have been written with a director like Burton in mind (yes, yes, I know Carroll wrote it long before Burton came along... but don't the two seem to go together somehow?). A quick fact about the movie: Lindsay Lohan lobbied for the role of Alice. In honor of the release of Alice in Wonderland, I've done a quick round-up of some key Alice in Wonderland titles that I've been dying to read. I've decided that before picking these up, though, I'll be re-reading Alice in Wonderland and Through the Looking Glass on my iPod via the Classics app - expect a follow-up post on the joys and difficulties of e-reading. The Annotated Alice: The Definitive Edition - After a quick cameo on Lost last week (which I didn't actually see, but read about on Galleycat), this title's sales spiked. According to the Media Bistro article, it was ranked 314th in books this week, and 1st in the history & criticism category. The book presents the full text of both Alice in Wonderland and Through the Looking Glass, as well as "The Wasp in the Wing" (a suppressed chapter of Through the Looking Glass). All of the text is annotated with commentary exploring Carroll's sources, allusions, mathematical puzzles, etc. 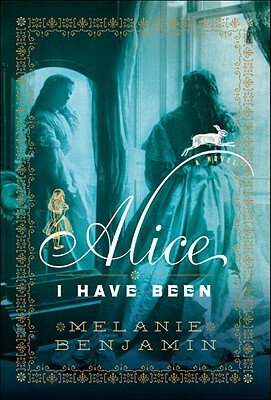 Alice I Have Been is a relatively new release from Delacorte, a historical novel based on the relationship between Alice Liddell (the basis for Alice) and Charles Dodgson (aka Lewis Carroll). This one has been popping up in promotion a lot recently, and according to Amazon, is currently #365 in books. The Looking Glass Wars is the first in a trilogy of modern fiction based on the story of Alice. The main character, Alyss Heart, has fled her homeland and found herself in Victorian England, where she is adopted by the Lidells and re-named Alice Lidell. A friend, Charles Dodgson, tells Alice her real story, which of course no one believes... until the royal bodyguard Hatter Madigan crashes Alice's wedding, and it's pretty much all downhill from there. There are two further volumes in this series: Seeing Redd (vol. 2) and Archenemy (vol. 3). You can see reviews of these titles on Bookgasm - Vol 1 & 2 together, and the new Vol 3 review (and interview with the author). The Mystery of Lewis Carroll aims to unravel the veil of rumors and mystery that surrounds the life of the author of Alice in Wonderland. Through a variety of rare and first-hand sources, author Jenny Woolf places Carroll in the realm of Victorian England. There is also a review of this one up on Bookgasm, if you're interested. So, it seems I have to get some reading done - both e-reading and book reading. If anyone has read any of the above, I'd love to hear your thoughts. Did I miss any must-read Alice titles? Anyone else excited for the movie release? I can't wait to see this movie, and I am NOT a movie fan, but Alice -- I can't wait! 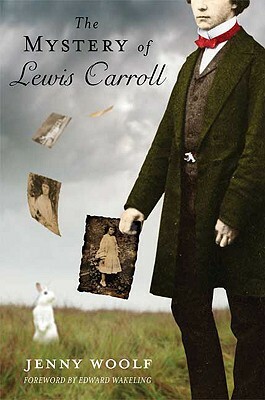 Thanks for mentioning my book, THE MYSTERY OF LEWIS CARROLL. 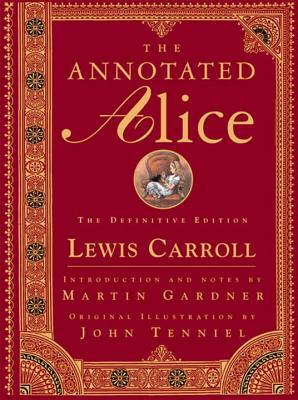 I can recommend the Annotated Alice - it's full of interesting stuff if you like the poems and want to understand the background of the Alice stories. Alice I have Been has had many, many good reviews and I'm looking forward to reading it! But remember it IS fiction. I spoke to the author Melanie Benjamin while she was writing it and she said she didn't want to make it too close to fact - and that's the way it ought to be with a fiction writer. 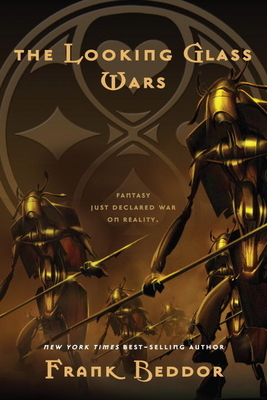 I can't get along with the Looking Glass wars but they're popular with folks who like fantasy fiction, and the art work is popular. I hope you enjoy all this reading! Jenny - Thanks for the comment! Hope you enjoyed the post. I've always been an Alice fan, so it's really fun to see the movie and the influx of related books (whether they are directly related to the movie or not). Can't wait to read yours! I'll send a link when I review (although that might be a month or two still... the stack of to-read is dangerously high). Thank you very much! I will be very interested to see the link when it is up.